"Friendly, professional and attentive care." "Dr. Porsch has wonderful bedside manner and lets you know exactly what is happening." "Dr. Porsch is a wonderful and thorough dentist who truly cares about his patients." Porsch Dental in North Garland, Texas, can give you a smile you’re happy to show off. J. Brian Porsch, DDS, and his team have decades of experience practicing a full scope of general and cosmetic dentistry. With expertise ranging from porcelain veneers to dental implants and crowns to bridges, Dr. Porsch can correct nearly any dental problem and even redesign your smile. Dr. Porsch and his team pride themselves on integrity, service, and quality. They’ll treat you like family and keep you comfortable. Porsch Dental can take care of all your dental needs with the best techniques available, including Pinhole® Gum Rejuvenation for minimally invasive gum recession correction, CBCT imaging for dental implants, and personalized equipment for teeth whitening. 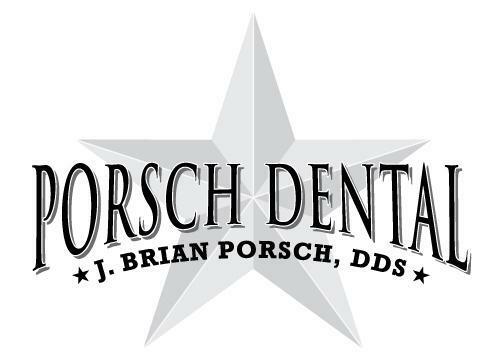 Porsch Dental works hard to serve you and give you the smile you want. Their conservative approach to diagnosis means they’ll never sell you a service you don’t want, need, or understand. The first step to a healthy, beautiful smile is to make an appointment by phone or online. Dr. Porsch and his team look forward to seeing you. We have an in-house CBCT scan to offer our patients only the highest quality of care! Porsch Dental accepts the following insurance plans. Click on "View full list of companies" to see a list of commonly accepted insurances. For additional insurance plan inquiries, please contact your insurance provider. "Best dentist I've been to and would refer him and his entire staff to anyone needing any type of dental work done. They did an amazing job on my teeth." "The office staff treats each individual as if they are part of the family. What he says is what you get - no trying to up sell you on more work that needs to be done." "The staff is highly professional and personable. They and Dr. Porsch are willing to take the time to talk to you and explain what is going to happen and what you need."